Imagined by an Artist, shaped by Play Therapists! 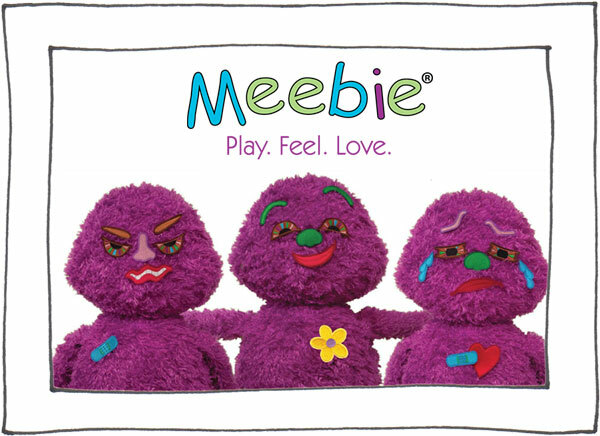 Meebie blossomed from an idea to make it easier for kids to express emotions in the way they know best: play. The challenge included creating a toy that kids would love, was faithfully rugged ... and a little quirky. Play therapists -- professionals who work with children to resolve traumatic experiences using the child’s language of play -- swiftly adopted Meebie into their practices. As kids gravitated to Meebie, therapists evaluated, thoroughly tested, and ultimately helped form the dependable, endearing Meebie of today. Biggest compliment? Not only do therapists rely on Meebie in their offices, they bring Meebie home for their own children and grandchildren. We’re blushing. With Meebie, feelings expression and identification support mindfulness and social-emotional learning. Play Pack, Therapy Pack, Listener Pack, and other accessories are available separately for even more options.